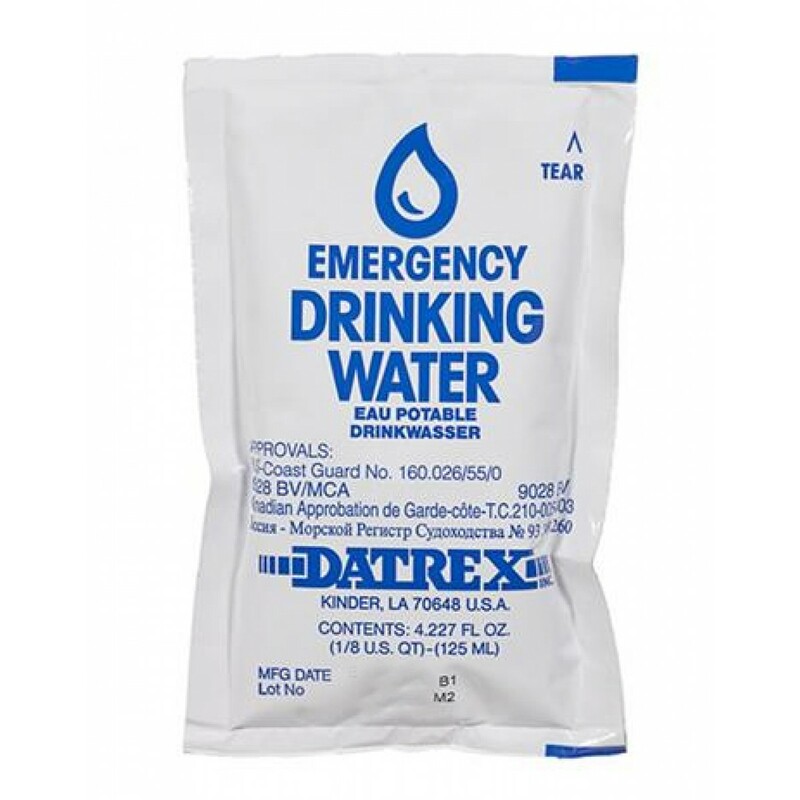 Datrex emergency water rations, the gold standard of rations, are individual servings of filtered fresh water, bagged in a specially designed polymer-foil sachet. To consume tear open at the mark and sip straight from the bag. The high level filtering and outer protection is certified to keep the contents fresh for a minimum of five years in even the harshest environments. Get the best, you or your loved ones live’s could depend on it! Filtered and packaged in America at FDA certified facilities. • Purified water for immediate use. • Superior packaging materials for optimum durability. • Easy to dispense from a premeasured sachet. • Lightweight and extremely compact. • Loss potential minimized due to individual sachets. • USCG, Canadian Coast Guard, EC and NZ approval. SKU: 1-0001. Categories: Datrex, Water & Purification. Datrex Water rations provide life’s most precious resource when you need it most.